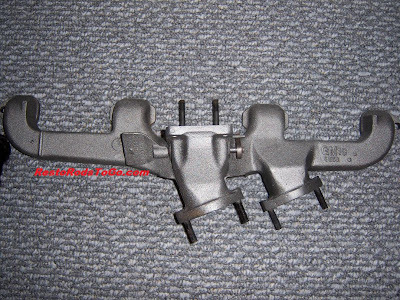 For Sale 235 261 Chevy Header Split Exhaust Manifold. Fenton makes the ordinary everyday run of the mill exhaust that you can buy cheap, so if you're looking for cheap then read no further. 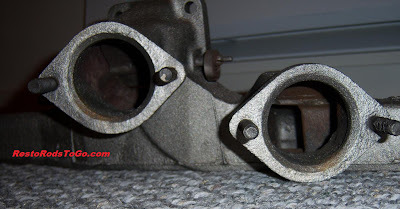 To split a manifold like this, you will need to first locate that exceptionally nice part. You will need another manifold for the second flange. You need the cutting tools and the blasting equipment to clean the manifold. You need the skill to operate the tools. You will need a head with intake that you can bolt it all to and an oven that it will fit into for preheating and post cooling. If you have the skill to do the special cast iron welding, you can save a lot of time running to and from the specialized welding shop to have that portion done. I won't be doing another one of these for speculation. If you add it all up, the cost to do one like this would exceed $1000.00. 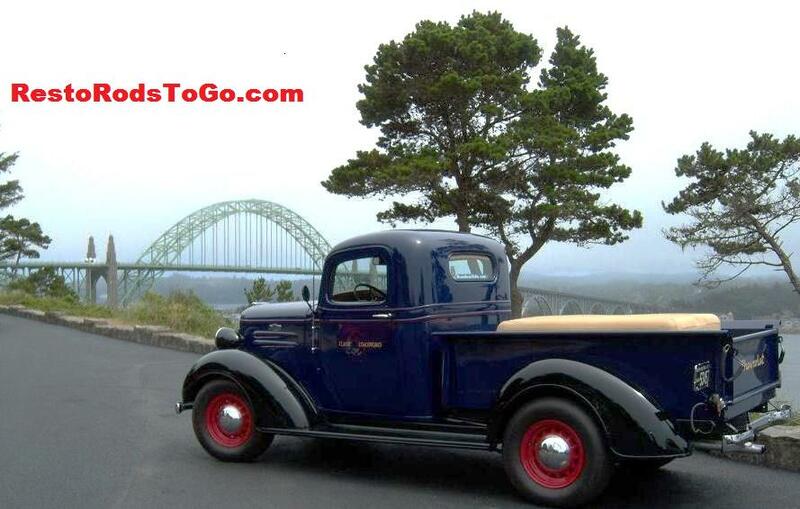 I would only do it if I intended to use it on my own vehicle, and I do have one on my 1937 Chevy Pickup already, that I did several years ago. 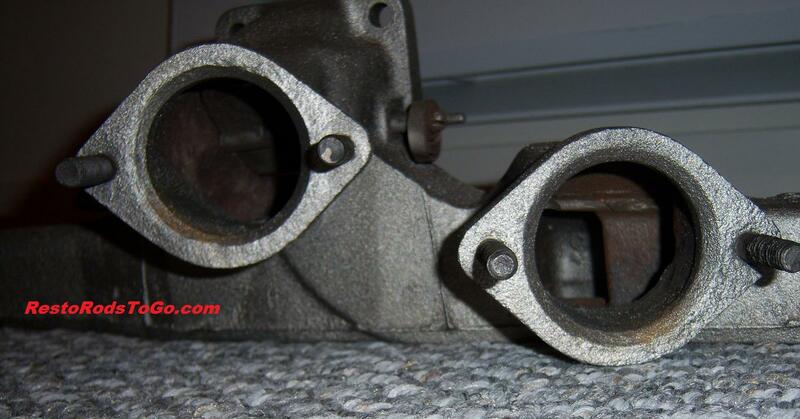 You can own this very special manifold for $325.00 plus shipping. I received the manifold today. It is absolutely incredible. Thank you very much.